They said it was going to get better. They said I was up for a treat. They said it was going to be fun ride. Well, they sure were right. Bill Willingham channels his inner child and creates another volume filled with an amazing plot, intriguing characters and beautiful setting. As my girlfriend realized, this Fable series does an amazing job at putting fairytales and classic literature together. Two things that we absolutely adore. 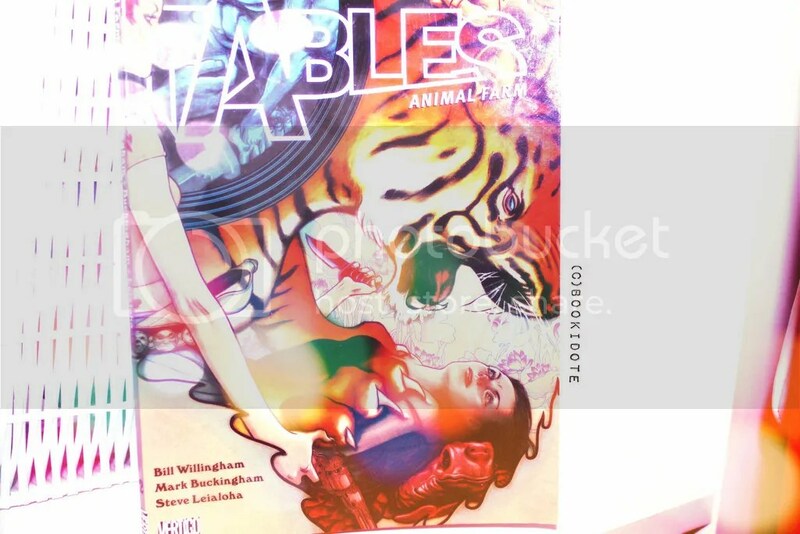 Fables (Volume 2) explores the two sisters relationship as they go on a trip to visit a farm that Colin’s should be calling home. As they arrive, they discover that they’ve arrived in the middle of something big. Something that is bound to change the landscape of Fabletown. The farm is inhabited of non-human Fables that need to stay away from the eyes of mundane humans. Isolated and tired of living in a prison, the animals seek freedom and embark on a revolution, thus the reference to Animal Farm by George Orwell. This adventure has a lot to offer. First off, the gore and crimes that go in this volume are stunners. After the first volume ending on a note that turns every single blood-related event into something pretty much…mundane, volume 2 comes out as a surprise. Some characters go pretty far and execute some really nasty things. SPOILER HERE: Hover over text to read. The new characters that are presented in the volume are also awesome additions. Goldilocks, the Tiger, the Giants, Reynard. They’re so brilliantly squeezed into the storyline; it was such a pleasure to see them in there. It was also really fun to have the fox in the mix. His dialogue was impeccable, clever, witty. His lines were always bound to make me laugh. Some of the events were really engaging as well. The Blacksmith and Snow White? Tell me you didn’t face-palm after that scene. How about that ending? I think I chuckled a little at the black crow and its new feature. That was just perfect timing. SPOILER HERE: Hover over text to read. Volume 2’s artwork remains colorful and vintage. The themes it invokes are captivating and there’s nothing like a nice reference to Lord of the Flies and Animal Farm. This series continues to deliver great plot and a beautiful universe. I still can’t wait for it to dive into Fables origins and everything about the great Adversary. I wonder if there will come a time where a great War would commence and big events will be shown. I love how Fable explores different plots and doesn’t only revolve around a murder mystery tale. Don’t forget to share your thoughts on this trade paperback, as well as like and follow us as we continue to provide you guys reviews to enjoy. So what are you waiting for? 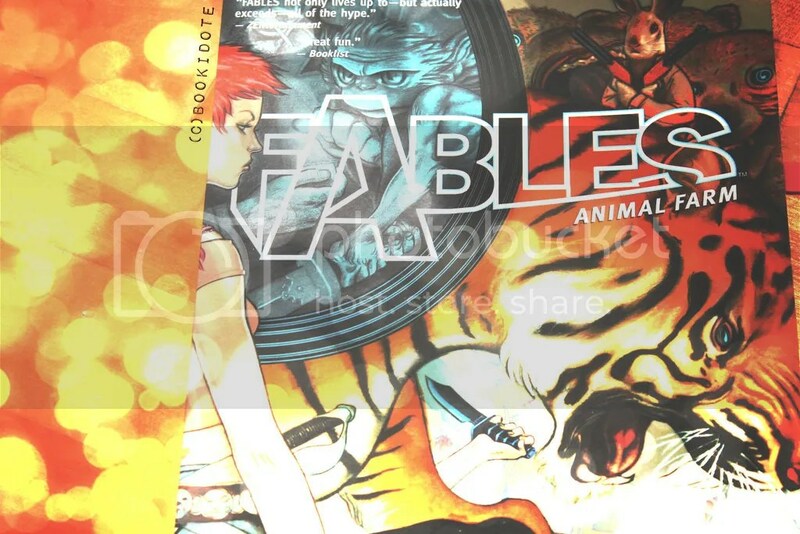 Get yourself a copy of Fables (Volume 2) – Animal Farm by clicking on this hyperlink! Awesome review !! 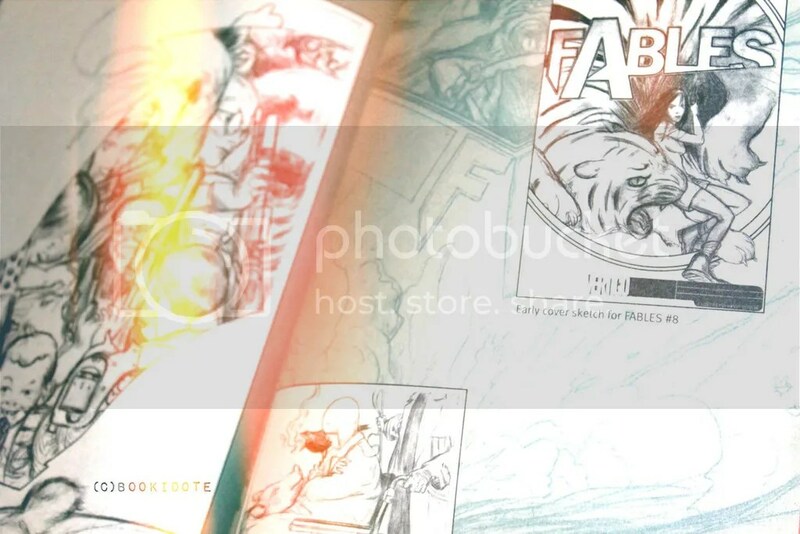 ❤ Love fables omgg .. but there are so many volumes though T_T WHERE DA MONEY AT! ! !